Ms. Pieta has been a paralegal with Kolsby Gordon since 1998, practicing with a particular focus on medical malpractice, complex personal injury and civil litigation. Prior to joining the firm, she was a trial paralegal with the law offices of Thomas B. Rutter, concentrating on complex medical malpractice, products liability, contracts and commercial law. 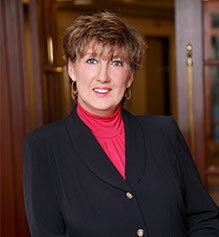 Ms. Pieta received her paralegal certificate from The Philadelphia Institute of Paralegal Training in 1993. Before receiving her certificate, she worked as a legal secretary for twelve years on personal injury matters such as motor vehicle accidents, SEPTA litigation, and slip and fall accidents, with two years spent working on criminal defense law. A member of the Philadelphia Association for Paralegals and a former member of the South Jersey Paralegal Association, Ms. Pieta previously held positions as PTA president, vice president of Paulsboro High School Girls Soccer, treasurer of and fundraiser for Paulsboro High School Girls Soccer, and member of the Paulsboro High School Principal Advisory Committee.